Sold by iVolerDirect and Fulfilled by Amazon. Gift-wrap available. IMPORTANT NOTE: Advanced fit and perfect size for iPod Touch 6 6th Generation & 5 5th generation.Amazing look and feel! Real glass makes for real difference in quality and touch sensitivity! 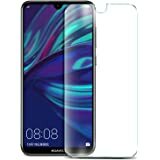 Industry-leading Japanese special processed glass to ensure maximum protection, TRUE HD 99.9% transparency maintain the original quality of your Phone's viewing experience. Easy installation and no residue when removed. 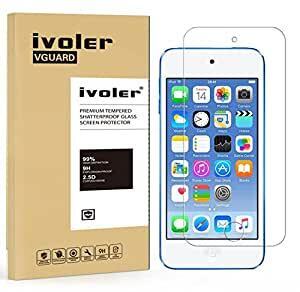 iVoler Glass features an Oleophobic Coating, Hydrophobic and Electro Coated Surface that prevent particles, sweat, oil and water residue. Anti-Shatter Film: If broken, tempered glass breaks into small pieces that are not sharp, making it safer than other glass products. 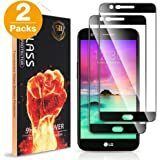 What You Get: 2 Pack iVoler Tempered Glass Screen Protector, Installation Instructions, 2xTwo Alcohol Cleaning Wipe (DRY&WET), 2xDust-absorber. 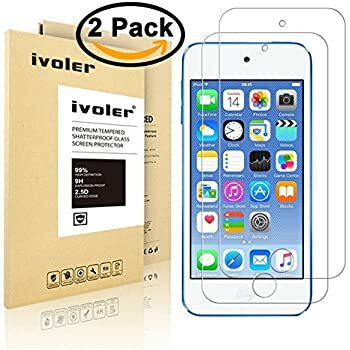 All Glass Screen Protectors are backed by iVoler's Lifetime Warranty Program. 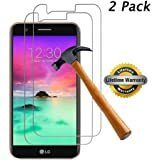 Lifetime no-hassle warranty provides easy lifetime protection for your tempered glass screen protector. 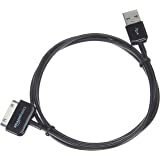 Sold by iVolerDirect and ships from Amazon Fulfillment. 5.0 out of 5 starsI feel safer with this cover applied. These glass covers are worth a lot more than the few bucks that they cost. 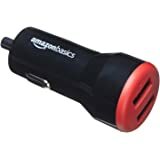 I've used them on my iphones, ipads and ipods. They are tricky to install, simply because once any edge grabs the device screen, you can't start over. If you pull any of it off, it won't stick back on evenly. It's also a challenge to ensure that no dust, animal hair etc. gets between the sticky part and the glass. Use the included sticky-backed paper to make sure there is NOTHING on the screen when you start to place this on it. I'd think that this brand and a lot of others come from the same Chinese factory. These seem to be top-notch - I got the first one installed without a hitch, so now have a spare. Once these start to get scratches, just pull it off. It leaves no residue at all. Then stick another one on. I always buy a package of at least one more than the number of devices, in case I have an "oops" installing one. I am pleasantly surprised by this glass screen protector for my ipod. 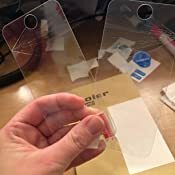 I didn't have high expectations, especially since you get two for the price, and previous experience with cheap protectors didn't yield good results, but this glass protector outperformed my expectations. I needed a new glass protector since my old one was starting to lift at the corners. I installed this protector using the hinge method and it went on perfect the first time! Aligned perfectly and NO BUBBLES! All edges stuck with no hazing or lifting. Only time will tell how well it holds up, but I always have the 2nd one in the package to replace it with if anything happens. I have experienced no diminishing of responsiveness to the touch. It makes my old ipod screen look shiny and new again! 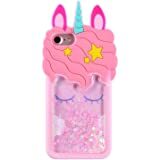 I paid full price for this item and it is worth every penny. I would recommend. 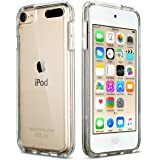 I use a TPU case with my ipod and it fit over the glass protector with no problems. 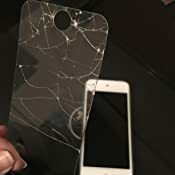 My son's glass screen had a lot of cracks in it but the cost to replace was ridiculous. I bought this figuring the price was right. It was easy to put over the old one. Of course it does not look like new but at least now the screen is smooth with no sharp edges and his phone still works and he can see the screen just fine. If you're looking for a miracle fix, well, that's just not going to happen. But if you want a decent Plan B, this will do the trick. 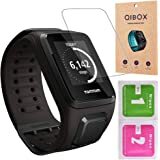 Great product for a great price. Haven't had my screen for that long but so far so good . Words of advice to buyers : make sure you have the screen lined up just right before placing on the screen. Once you place it you cannot take it off to re-adjust it . 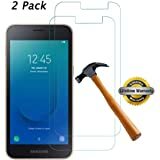 I cracked one screen trying to do so , luckily you get two screens with this product . 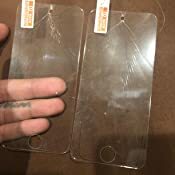 Would of been nice if I could of save the other as a back up but hey , first time applying a tempered glass screen protector . As for the manufacturers: would be nice if the screen had a lil more flex incase re-adjustment is necessary, other then that , great product ! 5.0 out of 5 starsFinicky installation directions are worth it! The directions for installation are incredibly picky, but the attention to detail is worth it. 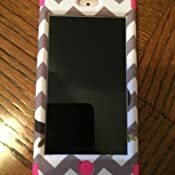 The screen protector is invisible, fits perfectly in the protective case I purchased for my device, and does not interfere with the sensitivity of the touch screen. 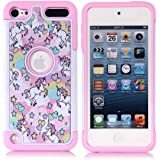 I haven't had it long, but I think it will be extremely durable - though I would not use it without a case to protect the edges. 5.0 out of 5 starsPurchased full price, and SUPER HAPPY with my purchase! 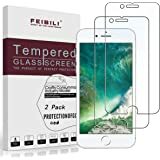 New glass screen protector was a snap to install, is so far holding up robustly, and is clear as a bell, just as advertised. 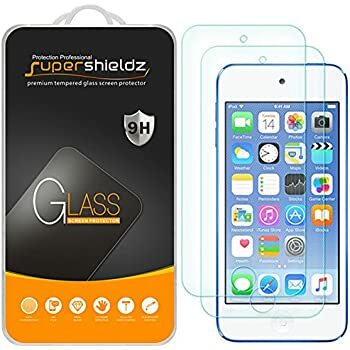 It looks great on my iPod's screen, as if it's not even there, but it has a reassuring thickness which makes me feel as if my iPod's screen is far safer than it would be with any generic thin plastic protector. Even so, the thickness of the screen protector does nothing to hamper the sensitivity of the touch screen, and my touches on the screen are sharp and precise as ever. 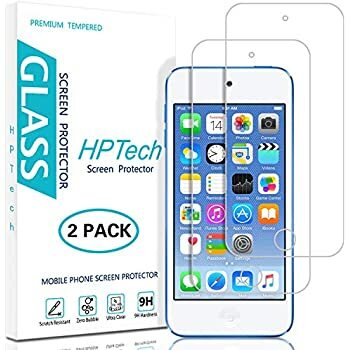 What's more, I love that for one purchase, I have a backup screen protector if for some reason the first one should become scratched or be in some sort of "accident" - which I don't forsee. If nothing else, I will save the spare for a couple years and use it when I want a new shiny one, or when it's needed. 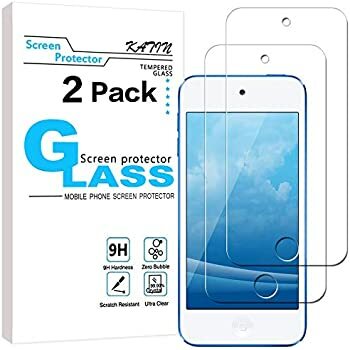 My favorite aspect of this particular item is how clear the screen is underneath the screen protector... it's almost impossible to tell that it's not just the ipod's screen! Highly recommended, I'm super duper happy with my purchase! 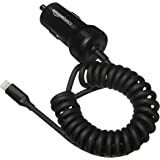 And for anyone interested, while I did purchase this product largely due to the number of high-starred reviews, I DID purchase this item at full price without discount simply because I liked it better than any of the other options I looked at. And with that said: I could not be happier. 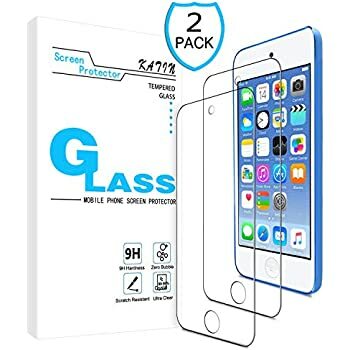 This is a replacement screen protector. Although I was pleased with the previous product, this appears to be of better quality. Time will tell if it is. As of now, I am more than satisfied with the fit (for a Note 8), the anti-glare, and touch screen capabilities. 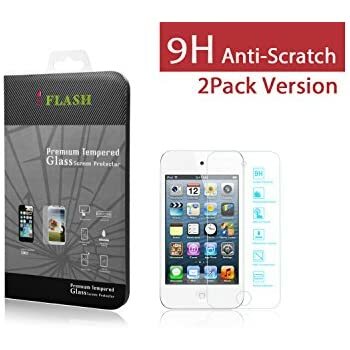 Definitely would recommend this to anyone looking for a durable screen protector for their mobile phone. 5.0 out of 5 starsSaved a brand new iTouch! Our child tripped and fell while holding a brand new iTouch and the device hit the ground, hard! The screen protector was destroyed but the iTouch was completely unharmed! I am amazed. 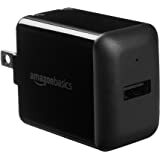 I rarely share reviews of products, but I am ordering a back-up package now in case this ever happens again. 100% satisfied!